Where are Apartments for the Middle Class? MHN chats with Kevin Finkel of Resource Real Estate Opportunity REIT about the changing nature of the workforce and their housing needs. The fund is big on heavy value-add plays that create safe, affordable and hassle-free housing for the middle-class, with a particular emphasis on single working mothers. Even a quick glance at core urban markets will reveal a pipeline of new apartments catering to the luxury crowd. Sure, there are some great, oftentimes very creative, government assisted low income housing developments as well. But what about the middle class? Over half of the U.S. population makes between $25,000 and $55,000 per year, yet we never hear about new construction targeting that income bracket. 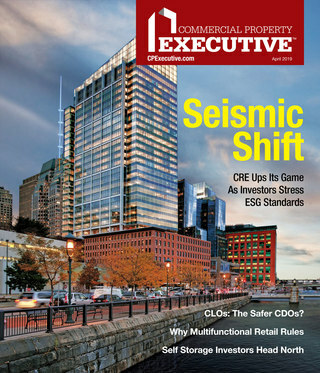 “That’s because the pipeline for product that is affordable for that income group is nil—there is nothing there,” says Kevin Finkel, president & COO at Resource Real Estate Opportunity REIT, a fund that specializes in value-add workforce housing. The entity is sponsored by Resource Real Estate, which operates a portfolio of 20,000 self-managed units. This is a problem, especially at a time when the workforce is undergoing some significant changes due to global economic pressures. MHN used the opportunity to speak with Finkel to learn more about how the middle class is evolving, and what apartment investors and property managers can do to offer an affordable, safe and comfortable product. MHN: So how exactly is the American middle class or workforce changing today? Finkel: We talk about the middle class during elections, and that is really the only time that anybody talks about it. And when they do talk about the middle class, they do it in very Norman Rockwell type terms. They talk about the middle class like it was in the 1960s, not like what it is today. The middle class used to be, generally, a nuclear family—a husband and wife, two kids and a dog—living in a small home near a factory where they would work. So you would buy this house, be close to the factory, work for 30 or 40 years until you retired. Life was pretty good for the middle class. That, of course, is falling apart. It is falling apart at an extremely rapid rate, generally because of the gutting out of manufacturing. There are different parts of the middle class—lower, medium and upper—and they are all experiencing some income stagnation. There is even regression in some cases. That is going to grow as global competition puts so much pressure on wages because it is just a lot easier to do what the working class can do in other parts of the world for a lot less money. If you look forward at what else is going to happen, you are really starting to see how robotics and the application of smarter computers are setting up manufacturing systems that can run somewhat autonomously. MHN: How are these pressures impacting the family dynamic? Finkel: Men have been significantly affected by these changes, more so than women. Women seem to be re-tooling better. Men are not doing as well re-tooling and they are falling out of the workforce in record proportions. This is putting pressure on these nuclear families. We are seeing the divorce rate increase at a record proportion. In has tripled since the 1960s, and marriage rates are down by 30 percent. One in four women today is raising children on her own. The structure that kept these nuclear families together in the work force has really come apart. It is not localized to any one particular racial or cultural group. It is across the board. This is really changing how the workforce is living. Generally, what it means is that when you talk about workforce families, you are oftentimes talking about single mothers with children. A hallway in Iroquois Apartments, before (left) and after (right) renovation. MHN: What kind of housing/services is this demographic looking for? Finkel: Single mothers with children don’t want to own, or can’t own, single-family housing because it is just too much work. They may need their housing to be much more mobile and flexible because their work is very volatile now. They can’t be stuck at a house next to a factory because the tenure in jobs is going down. They need to be far more mobile, and apartments really serve that need very well. So the primary renter is this situation is a single mother. As someone who thinks a lot about workforce housing, that is what we think about. What about that single woman, that single mother? From an apartment standpoint you really have to think about the services you provide for her. Generally, security is the service that they are going to want first and foremost. They want to be safe and secure. In addition, because these mothers are not earning a ton of money as they are part of the workforce, they are very busy. So they need a hassle-free living environment. One of our main focuses in our property management is how do we provide the renter with a hassle-free living situation? They have so many pressure on them already that they don’t have time to be hassled. MHN: So if no one is building the types of properties the workforce is after, how do you go about meeting their need? Iroquois Apartments model unit before (top), and after (bottom), renovation. Finkel: Well, we run into people all the time who say they are a value-add investor. If you dig in and ask them what they mean, they will say they are putting in new appliances, and maybe cleaning the property up. We don’t really consider that value-add. We think, that in order to capture the single mother part of the workforce, you really have to give them something much nicer, and much more holistically thought out. That typically starts with acquiring apartments built in the 1980s, during the last apartment boom. These properties typically have had very little capital put into to them. There is a great opportunity to buy these properties and upgrade them to a mid-level that is more affordable to the workforce, but also gives them a renovated unit. We need to come in and rethink the property from the landscape, to the common areas, to the amenities, to the complete interior package. Everything from floors, kitchens, and bathrooms. It is a total renovation of the property to really give the middle- to high-end of the workforce what they are looking for, which is a modern, but affordable, apartment community. We view that as sort of between $1,000 and $1,200 a month in rent. 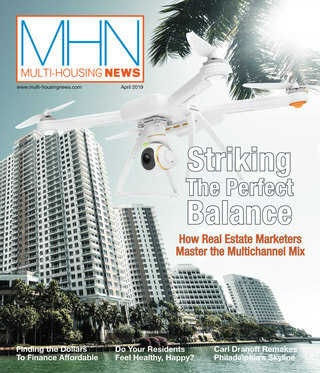 MHN: It sounds like Resource Real Estate is very in touch with the needs of your renters. Is there any advice you would give to other companies from an operations point of view? Finkel: The biggest thing, I think, that other companies are missing, is that the most important part is the services provided by the management company. Here is the concept: We are the only consumer facing industry that requires our customer to call us lord. Think about that. It is crazy. If I had to point out in one sentence what is wrong with property management, it is that concept that is so completely ingrained in our industry, that we think our customers should come and call us lord. Therefore the attitude prevails throughout the industry. We work very hard to get rid of that, not just the terminality, but the thought process. These people are our customers. These people have real needs, and they do not have easy lives. It is our job to make sure that our customers, once they sign a lease with us, they don’t have to think about their living anymore. We take care of that, so they can take care of the pressure they are facing in the global economy. The exterior of Iroquois Apartments, before (left) and after (right) renovation. MHN: Lastly, I’d like to ask about what markets Resource Real Estate Opportunity REIT targets, and why? Finkel: Well it is interesting, because we are seeing a dichotomy in the workforce. We see jobs growing in cities that are attracting young, creative, educated people. Places like San Francisco, Denver and Austin—though there is a bit of an overbuilding concern in Austin. Denver is a city we are very focused on right now, and we think supply is in better shape there. When you see the young, creative and educated labor force moving to cities, that is where you see job growth. Now, we are of course not renting to those young, creative, educated people. That is where you see those luxury buildings in downtown areas come into play. We know that if we are in those environments, the ancillary jobs of the creative force will be there. So we are going to the high growth cities. If you are in the workforce right now, stuck in Detroit, let’s say, then moving to Austin is a good idea for you, even at the lower end of the spectrum. We want to be in those cities that are growing, not in those cities that are shrinking.